To say that E.T. had a profound affect on young me would be an understatement. Next to the animated films and classic cartoon shorts that I adored (and still do) above all else, E.T. was something truly special–a film where the focus was on the kids, kids who were smart and brave but also flawed, who strove to do the right thing and yet weren’t perfect paragons of cinematic characterization. They were, in essence, real kids, and I identified with them as much as I longed to actually be them, and to have an adventure with a cuddly alien all my own. That focus on the children is not a mere by-product of the film’s central science-fiction storyline; it is the entire purpose of the film. Indeed, Spielberg, himself a child of divorce, had long sought to make a film about the myriad ways in which divorce affects kids. 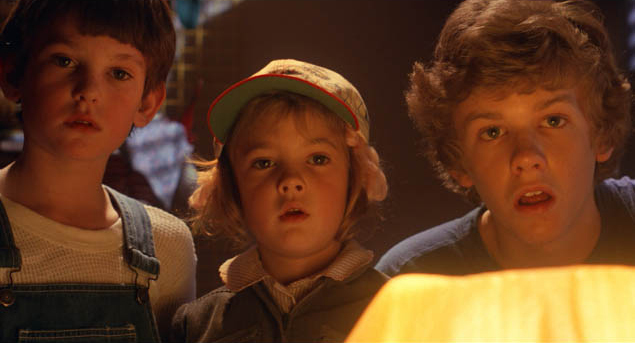 Told from the perspective of a family of three kids–two boys and a girl–E.T. is ultimately less about the titular alien than it is about the dynamics of a broken family, and how that damaged unit dusts itself off and learns to function as a smaller whole. Check out the rest of this piece at Wonders in the Dark now, and look for my final contribution to appear in upcoming days!